If you have a function that you need equipment for, then this article will explain some of the things you need to look for when selecting an equipment hire company. Chances are, if you are not a professional event organiser, you only do events occasionally, and you do not have a trusted supplier for your equipment. If you need some equipment for your function, then this is how you find the best event equipment hire company. 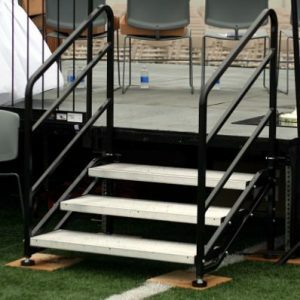 When staging an event, you will need a variety of equipment. For example, you will need lighting, sound, and other staging equipment. You will find that there are companies that only deal with specific equipment and so you might be forced to contact several providers to have all the equipment you need. It will make the whole process more expensive as you have to pay for the delivery fees differently. However, if you can find a company that can deliver all the equipment, you will cut on price and save some time. You will also have less stress dealing with the company as compared to dealing with two or more service providers. Before you hire any equipment for an event, you should keep in mind the cost of replacement. The main reason for utilising event equipment is to avoid paying the full price for the equipment. However, since damages can occur unannounced, you should know the replacement costs of different equipment. The replacement costs are often where an equipment hire company can make up their profits. Some companies will charge you more than the value of the equipment. Therefore, be aware of these costs before signing the deal as anything can happen. Avoid companies that exploit unsuspecting clients. You may only need event equipment for a 24 hour period but ensure that you leave yourself plenty of time for set-up and even pack down and return of the equipment. Some companies may offer excellent rates for 24-hour hire but will charge higher in case you return the equipment 30 minutes later. Some will even treat any lateness as an extra day. Therefore, as you look for an event equipment hire company, be sure to know their terms of returning the equipment. If you are sure you cannot meet the 24hour return policy, consider hiring for long to avoid hefty charges and lateness penalties. With proper research, you will find a reliable service provider and make your event a success. You can always take advantage of online reviews and referrals from friends and business partners.